Let’s face it: a lot, and I mean a lot, of model railways look the same. But they don’t have to. 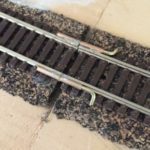 Despite all the effort, energy and work that we pour into our model railways they often look very alike. A branch line here, a shunting yard there, a goods shed. They all get very familiar. Boring even. 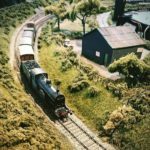 The following list includes some more inventive, unusual and frankly bizarre ideas for things to do with model trains to entertain and amuse. Like this glorious micro layout, for example. How cool is that! Who could like this and not be impressed? The immensely lovable Hobbiton End model railway. Click on photo to see more detail. Or this one. It’s just delightful and so inventive. 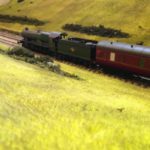 It’s sure to wet the apitite for more fantastical layouts. Speaking of wetting the appetite and the fantastical. That Railway Girl – Amy – has caused quite a “stir” with this coffee table Zombie themed layout. And if the undead isn’t your thing, there are plenty of other fantasy themes to explore. Just take a look at what Movie special effects artist Chris Walas has come up with for his whimsical model world. And the ideas don’t stop there. If you like model building, want some movement in the layout but aren’t hung up on trains there are always trams. (The fun starts at 35 seconds in). Lush cityscapes, the same technology and techniques as model railways but without the trains. 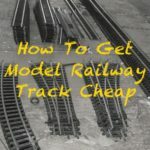 And if you just want to have fun with your track and trains you can of course always do something completely different. Take this model railway based roller coaster. 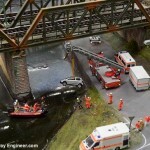 I’m not sure I’d want to risk my track and trains but it does look fun and is certainly different to the usual layout. And if you really want to be different, and yes silly, you can just forget the trains completely. Or get a “taste” of something different as the irrepressible Tim Dunn did recently. 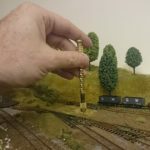 What have you done with your trains that’s outside the usual “model railway layout”?